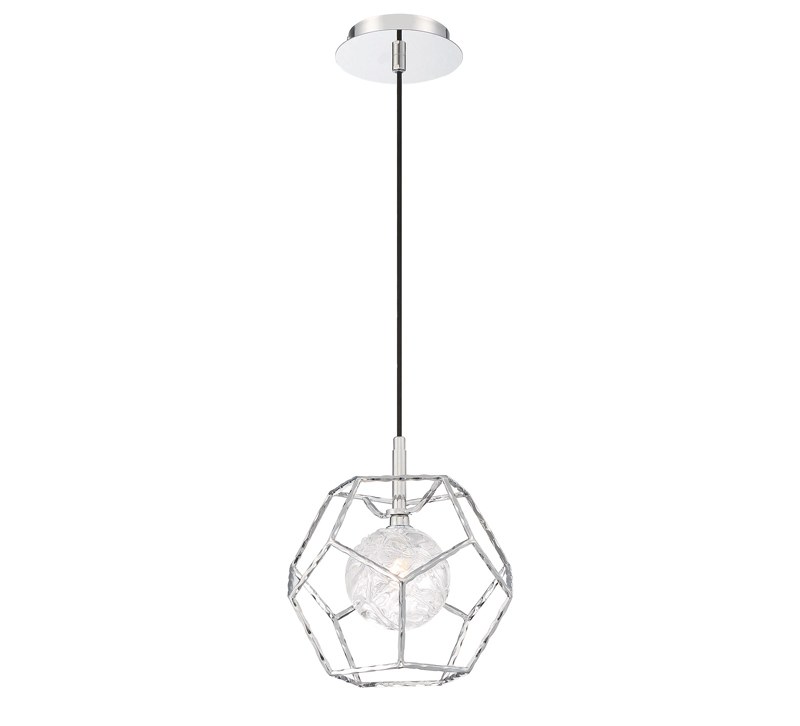 Eurofase's Norway LED pendant has a sleek modern feel. Not quite frosted and not quite clear, the glass surrounding the light source appears to be swirled. The metal cage is finished in Chrome, which stands out against the black cord. Also available as a five- and 13-light chandelier.